In business since 1988, Baudelaire is an importer of high-quality soaps and body care products. 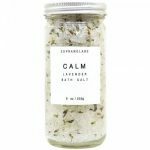 Baudelaire products include liquid and bar soaps, personal fragrances, bath and shower products, moisturizers, lip balms and men’s skin care products. 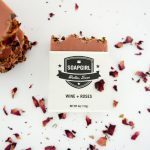 Some of the company’s bestsellers include Essence Hand Soap Sea Loofah, Provence Sante Linden Liquid Soap, Provence Sante Shampoo and Provence Sante Bath Bar. Baudelaire products – which have been featured in Vogue, Health, Country Living, Upscale, O Magazine and InStyle – contain all natural and organic ingredients such as palm oil, coconut oil, white clay, seaweed and shea butter. Baudelaire’s French-milled soaps are also vegetable-based, and are available in round or square bars. To purchase Baudelaire products in person, you may use the store locator which can be found on their official site at www.BaudelaireSoaps.com, or purchase directly from their website. Baudelaire is located at 265 Old Homestead Hwy, Swanzey, NH 03446. The company can be reached by calling 1-800-327-2324. “While we import globally and sell nationally, when it comes to supporting non-profits, we try to think locally/regionally. This involves donating thousands of dollars in product and good old cash to groups working to improve education, healthcare, the arts, the environment and more. (It’s impressive how many of these groups there are in our relatively small community!) We also support our employees’ active participation in local non-profit organizations. In fact, we offer all employees eight hours of paid work time to volunteer. Plus, we regularly achieve 100% participation (with a 100% employer match) in our local United Way. What about green? (Customers often ask.) Well, we have always collected and re-used packing “peanuts” before they land in the landfill. We insist that all our suppliers use PET bottles because they are the easiest to recycle, don’t leach and use less energy to produce and ship. The rest of our packaging and marketing materials is also completely recyclable, and typically printed on recycled papers.